From near extinction, to a vibrant revival, Australian Viognier is going from strength to strength. To help us learn more about this elegant wine, we reached out to a few experts with winemakers from Yalumba, Soumah and Claymore Wines. Viognier’s spiritual home is in France’s northern Rhône appellations of Condrieu and Côte-Rôtie, however, it is thought that it originated in Dalmatia (Bosnia) and was imported into France around 280AD. While Viognier is popular now, it came close to extinction in the 1960s, largely because of its low yields and unpredictability in the vineyard. By 1968 there were only around 14 hectares growing in northern Rhône. Luckily for wine lovers, by the 1980s a few Californian wineries and Australia’s Yalumba had become very interested in Viognier, ensuring its rescue and a new lease on life. Australia’s diverse climate results in a broad range of Viognier styles from the elegant, fragrant style to a luscious, full-bodied white wine. 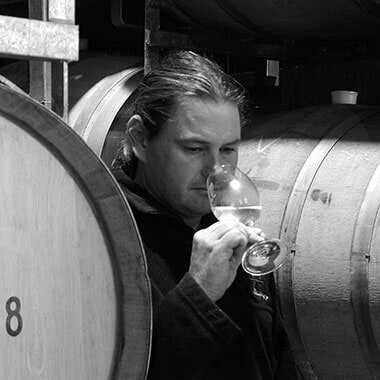 While, Viognier is grown across Australia in regions including Barossa, Adelaide Hills, Hunter Valley, the Yarra Valley, Riverland and the Limestone Coast, it’s in the Eden Valley under the care of Yalumba, that it has really flourished and produces some of the world’s best white wines. Considered one of the world’s most influential producers of Viognier, Yalumba was responsible for the first significant plantings in Australia when they planted 1.2 hectares of vines in the Eden Valley’s Vaughan Vineyard back in 1980. For over 40 years they have nurtured the variety in their Yalumba Nursery from the early Montpellier 1968 clones used for nearly half of the early plantings, to instigating a clonal development programme in consultation with the great Viognier makers from around the globe. 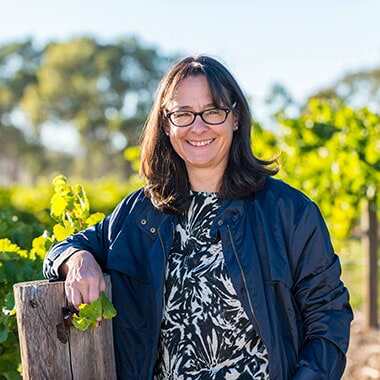 A leader within Australia’s wine industry, Louisa’s career with Yalumba spans over 20 years with her passion for Viognier and her developmental work of the varietal making her name synonymous with Viognier in Australia. Claymore Wines’ Shankly Vineyard is one of the very few plantings of Viognier in the Clare Valley. “Our Viognier is grown in a small pocket in Watervale that provides ambient sunshine and daytime warmth but cool nights. This allows the delicate florals and juicy acid to gradually develop and gives us the opportunity to have a bit of a play with it. We pick at a lower end of ripening (about 10 baume) to retain the juicy acid and delicate nature to allow us to stop fermentation prior to complete dryness for an off-dry to sweet style of this grape,” Marnie explains. The distinguishing characters of Australian Viognier include stone fruit, predominantly apricot, perfumed scents and high alcohol. Viognier responds positively to oak, adding richness to the texture and a nutty complexity that complements the apricots. Viognier is also regularly co-fermented, or blended with Shiraz to give further complexity and fragrance. “When great, the wines are seductive, luscious, opulent, viscous, full-flavoured with exotic aromas of lychee, musk, rose, pear, apricot, peach, nectarine, ginger, spice, citrus blossoms and long silky rich textures,” explains Louisa Rose. Similar in weight to Chardonnay and Rousanne, it pairs well with a great range of foods including rich seafood, red and white meats, and spicy dishes like Indian, Thai and Moroccan. “Viognier covers the foods and occasions that you would expect a white to, and then seamlessly moves into those that you would normally associate more with red wines and it is often called the red wine drinkers white wine,” she says. History The Credaros from Northern Italy settled in Margaret River in 1922, making them regional pioneers. Having made wine from their family vineyard for years, they became commercially involved in the wine industry in the 1980s. Today, the family manages 140 hectares of vines over seven separate vineyards across Margaret River, in the regions of Wilyabrup, Carbunup, Treeton, Yallingup and Wallcliffe. The Credaros produce all of their own wines in their 1200-tonne winery in Northern Margaret River. Tasting Notes Their Kinship Chardonnay presents a fragrant bouquet of white flowers, nectarine and pear with underlying cashew and citrus notes. Medium-full bodied with stone fruit, fresh citrus and creamy biscuit characters from lees influence, it has an elegant, refined structure and finishes with fine mineral acidity.